This entry was posted on March 11, 2019 by Liam Rodgers. If you’re looking to train at home, you might be surprised how cheaply you can build your own home gym. While gym memberships can easily cost over £500 a year, home gyms are often a cheaper and more convenient option – if you have the space and know-how. Today we’re going to explain why home gyms aren’t expensive, and how you can get fitter and stronger from your own home at an affordable price. The average Brit spends £32 per month on gym memberships, and lifetime membership spends are up by around 45% over the past decade. Clearly, costs are on the up and you need another option! By 2020, over 22 Billion pounds will be spent on fitness in Britain every year. This is a huge amount, but they’re over-paying, with an average spend of ££££ for a full home gym setup. An exercise bike alone runs you hundreds of pounds. That’s still cheaper than a gym membership, but what if you’re looking to get maximal results at minimal costs? If you can combine these 3 types of movements, you’ve got a full home gym for fitness. You might want to supplement for specific goals, cardio and sports training, but these are the key categories for looking and feeling great. Getting the best equipment for each of these areas – at a great price – is one factor to look out for when building an effective and inexpensive home gym. When we look at building maximum upper body strength and size, it’s clear that balance in the back and front is crucial. Combining a strong upper back with pressing strength in the shoulders/chest/triceps is key to a well-rounded physique and healthy posture. This means you need a way of building pushing and pulling strength. These are the simplest and most effective compound exercises for the upper body. Gymnastic strength training is one of the most versatile and inexpensive ways of building massive upper body strength and great aesthetics. This means that pull-ups and dips are going to be a fantastic tool to building a great physique without spending all your cash. This is why we put together the Pull Up Mate to provide a dip station and pull up bar all at once. Everything from pull-ups to dips to advanced push ups, from £130. We’re on the way to great savings and results already. If you’re looking to train effectively at home, the lower body can be challenging. Gymnastic strength training comes with a variety of great exercises for the lower body. Things like deck squats, pistol squats, and Bulgarian split squats are great for building quad strength and knee stability. If you throw a kettlebell into this mix, you can add resistance to squatting and lunging movements. It also allows you to build hamstring and glute strength with hip-hinging movements. Combining kettlebell swings with gymnastic strength training provides a full-body workout. These also contribute to building cardiovascular conditioning – another step to a well-balanced physique. Kettlebells come at a range of prices based on weight, but 20kg implements cost around £25-35. With a pull-up mate, you’ve already got the vast majority of your home gym for around £150. Not even half the average cost of a home gym. This is one of the most overlooked aspects of training, but it keeps you healthy and ready to progress. This covers things like the rear delts and other stabilising muscles. These muscles are essential for keeping your joints healthy and they’re not always easy to develop. These can also help with warm-ups, flexibility, and building control over your movements. Banded good mornings, shoulder dislocates, or banded stretches. These offer most of the things your home gym is missing. You can usually get a set of resistance bands from £10 upwards, depending on how many you want. This leaves us with an overall cost of around £200. Efficiency and convenience are two of the most common reasons to train at home. You’re the boss and you can train at your own schedule. This is simple: gymnastic exercises never just train one thing. Whether you’re performing push ups or tucked levers, you’re training a wide range of muscles. Gymnastic exercises develop stabiliser muscles, improve core strength, and challenge the wrists/forearms. Use this to your advantage: choose exercises that develop the primary muscles you want to build, but also strengthen the core in interesting ways or improve mobility. Once you’ve worked through the big, challenging movements, fall back to building strength, size, and conditioning with the right accessories. Ring rows make for a great addition to your pull up, while hand-release push ups can build shoulder strength and control after dips. There are a variety of exercises and formats you can incorporate, as we discuss in our downloadable “Pull Up Mate X” calisthenics training guides. The key lessons are to put the exercises in the right order and add volume with “smaller” or easier exercises. What do you do if you can only perform 2-3 pull ups at once? This probably isn’t enough for an effective set, but you can’t just do more. Supersetting with a relevant accessory exercise is a great way to build up strength when you’re struggling. You can get a full set in without your technique breaking down. Combining a set of 2-3 pull ups with 5-8 inverted rows is a great way to build strength in the muscles. This is a great way to get around the challenges of pull-ups and make your workout really count. Sometimes, the best way to get stronger is to just focus on more consistency and less intensity. Frequency refers to how often you’re training something. This is fantastic for things like grip development, core strength, and building great mobility. A home gym lets you train whenever you want, meaning that you can accelerate your results if you train more often rather than just harder. 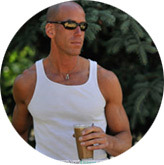 Things like mobility and movement pattern familiarity are the result of practicing often. You’re going to feel fresh, ingrain movement more effectively, and fit a large workout into a few short blocks throughout the day. 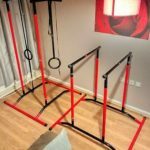 If you’re strapped for time or just don’t enjoy a long-haul workout, this is a great strategy for making the most of your home gym setup! The best way to achieve your goals is to take measurable and reasonable steps day by day. This is how we make big goals happen: one movement at a time. A program of training gives you this structure and provides a way of going from your current experience and abilities to your goals. An effective and well-balanced program involves a variety of exercises, rep schemes, and overall structure. Fortunately, Pull Up Mate X provides a way of getting a professionally-built training plan for calisthenics training. 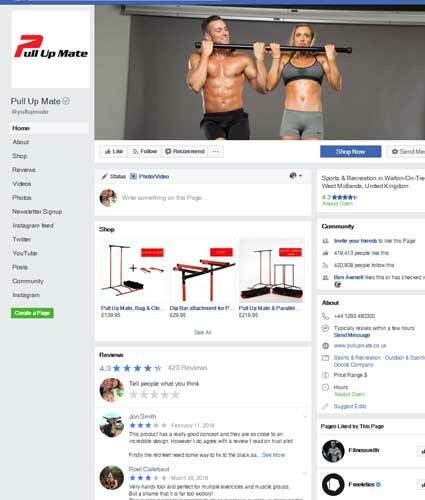 If you’re looking to get a great program, you’ll actually receive this free with your purchase of a Pull Up Mate, so you’re off to a great start. Incorporate a few lower body exercises mentioned above and finish off with the bands. A full-body workout, made easy! This might not be what your home looks like, but if you work hard, it cold be what your back looks like! The overall benefits of a home gym are convenience, efficiency, self-reliance, and the ability to run your own workouts. With just a few pieces of equipment, you can hit everything with relative ease. You’re going to be able to get strong, conditioned, and look great with just a Pull Up Mate, some resistance bands, and a kettlebell or two. If you’re looking for the ideal, cost-effective home gym, these are the key pieces of kit to start with. Combine them with the basics of getting the most from your home gym setup and you’ll see great results in no time. I think one thing that stops people from sticking to a workout plan is the fact that they do not have access to a gym. It is important to promote the idea that home workouts can be equally as effective. While it may be tempting to not stick to your exact workout if you're doing it from home, you really need to do so as this is the best way to get results!